We glanced at one another excitedly as the boy clumsily pulled the Seuss work out of the book station we had just inaugurated. His sister found one, too, and was proud to be like her brother, book held high above her head. Smiling, his father asked him which books he was going to bring back for other kids to take. As they walked away hand in hand, the boy, his sister, and their father continued their conversation about books, and about reading. We were filled with a sense of gratitude for a moment that brought our vision of free neighborhood book stations to life. These seemingly unplanned moments where learning connects families, communities, and each of us to a deeper self are what we live for as educators and future educators. This year’s Literacy Alive! project brought many such moments to the members of Chapman’s Chi Beta Chapter. 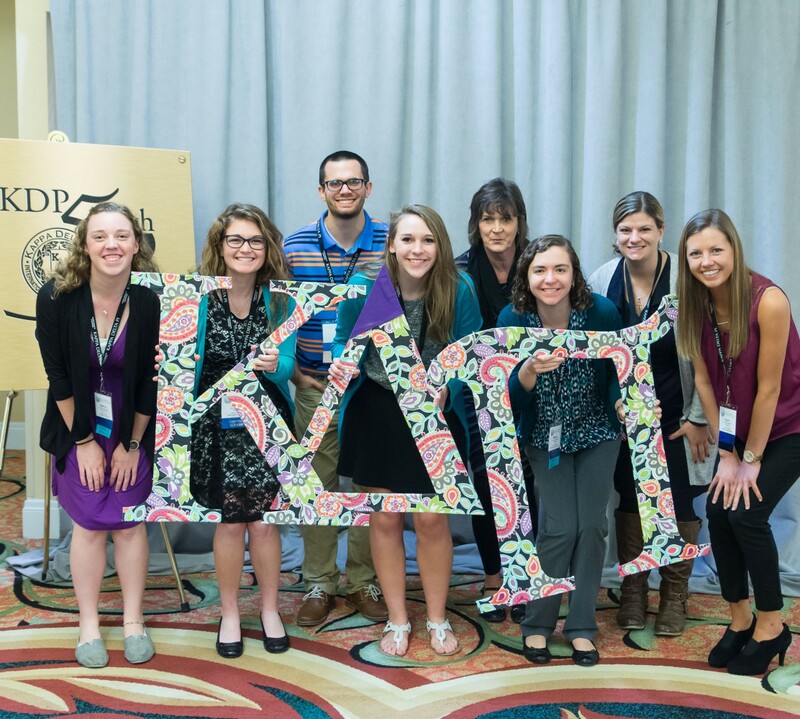 Each year, the chapters of Kappa Delta Pi connect around a national literacy campaign called Literacy Alive! to “create programs and events in their communities that bring empowering literacy skills to their participants.” This year, more than 150 projects were submitted nationally, adding up to 57,052 people served and 44,625 books collected for distribution. As a chapter, Chi Beta was recognized for its partnership with a local initiative: Operation Literacy Engaging Everyone (Operation L.E.E.) in Anaheim, California. Operation L.E.E.’s Facebook page reads, “We are a group of community members out to promote literacy and spread the love of reading in our community by providing book stations with free books.” The book stations are located at various homes and businesses in Anaheim, and represent a true community effort. A vision of local educators, the book stations are filled with donated books that anyone can borrow or take or donate. Operation L.E.E. started with five book stations and hopes to increase that number throughout Anaheim and in other interested cities. Our first adventure with Operation L.E.E. was at the South Junior High School Service Day, where Chapman’s KDP members were tutored in making book stations by students. The amazing woodshop teacher, Chapman alumnus Matthew Bidwell, guided us around the classroom while seventh and eighth graders made assistants of us and demonstrated their mastery of carpentry. It was a fun and exciting day of building book stations from instructions, wood, and know-how. As future educators, we talked about how it reminded us that our students will always be our greatest teachers, and that our classrooms can be spaces for doing good. We also helped sort more than 500 donated books, prompting a recognition of our community’s generosity and spirit. As book donations rolled in they were collected at the home of Operation L.E.E. leader, Juan Alvarez. A local educator and parent, Juan welcomed a collaboration with Chapman, and KDP members helped distribute books to book stations around Anaheim. Juan also welcomed us to his home, where we hosted a ribbon-cutting ceremony for Operation L.E.E. at the location of the first official book station. Here, Operation L.E.E. was presented with congressional recognition from Congresswoman Loretta Sanchez, and the book stations officially went live! In recognition of the success of Operation L.E.E., KDP awarded Chapman’s Chi Beta Chapter with a Silver Award. As the project continues to grow, you can help by donating books, providing funds or materials to build more book stations, or volunteering to host a book station at your home or business (contact operationleeoc@gmail.com). It was exciting for us to help support local educators who are moving beyond their classrooms to make an even greater impact in their community. And we were able to practice engaged citizenship by helping local educators bring a model program into fruition. In addition to strengthening our relationship with one of our partner districts in Anaheim, we also developed new partnerships with other collaborating organizations such as Los Amigos de Orange County and the Anaheim Public Library. Toward the end of the ribbon-cutting ceremony, we had our serendipitous visitors, our first book station patrons, and they knew exactly what to do. For us, it was like watching from a distance—watching our efforts and those of the community sprout into an opportunity. For the father and his children, it was a seemingly spontaneous moment to talk about reading. But we saw meaning in our project and could envision many such moments happening at this book station and at others around the city. Operation L.E.E. had come to life, and Chapman’s Kappa Delta Pi chapter helped make it happen. Guest author Anat Herzog is an educator who has a deep love for her students and their families. She is a doctoral candidate at Chapman University and Literacy Alive! Coordinator for the Chi Beta Chapter of KDP. Her eventual goal is to open a school based on the pedagogical principles of John Dewey and Paulo Freire. The initiates, officers, and members of the Delta Rho Chapter of Kappa Delta Pi at Kean University were pleased to support the needs of elementary students in a public school setting with 601 books that were given to them on Read Across America Day. Our chapter held a book drive throughout the Fall 2015 semester to collect these books. In February, we started by hosting a Literacy Alive! social event. This was a great way to prepare for our project and have everyone get to know each other in a comfortable setting. At the event, members, initiates, and officers created bookmarks for the students, and created bags with bookmarks and pencils to go with the theme of Dr. Seuss. To celebrate Read Across America Day, Delta Rho visited Menlo Park Terrace School #19 for the day. The books were delivered, and the students received their gift bags. Some officers and members dressed up as Dr. Seuss characters to add to the spirit of the day. All who attended read a book to an elementary classroom and visited various grades throughout the building. The second part of the project supported the needs of children and young adults at the children’s hospital who are undergoing cancer treatments. The hospital restricts paper books, so the children read books on iPads. These children need funding for purchasing books. Our project supported their needs through an iTunes gift card so they will be able to purchase books to read while they receive their treatments. Our project supported the non-medical needs of these children and they families. Our chapter was recognized by the faculty and principal at Menlo Park Terrace School # 19 as well as the director of Embrace Kids Foundation. This was truly an experience for our chapter, as it was the largest scaled project for literacy in chapter history. The members, initiates, and officers gained experience in the areas of service, networking, and experience being in the classroom. The communities that were served—although different—were immersed in the love for learning and reading all Kadelpians have and show. Delta Rho is proud of Two Books are Better than One, and we are excited to receive the silver award for it. The real reward, however, was knowing how many children and youth we touched in both communities through our project. Guest blogger, Leana Malinowsky, is a first grade teacher at Pvt. Nicholas Minue School in Cateret, NJ, where she teaches the inclusion class. She is also a certified Reading Specialist. Leana is the Associate Counselor of the Delta Rho Chapter at Kean University, and she has been an active member since 2007—over 9 years! See the great lineup of speakers for Convo 2015 – hope to see you there! KDP Chapter Challenge: May the best region prevail! The battle is on to see which region will take top honors in KDP’s signature philanthropic initiative, Chapter Challenge. The Goal: 100% chapter participation in each region. The Commitment: $150 donation to KDP from your chapter and/or chapter members. Each donation to KDP advances resources and support for educators like you, and in exchange your chapter receives local and national recognition. The Prize: All participating chapters will receive a plaque or nameplate to display at your institution, acknowledgment in the Kappa Delta Pi Record, the Convocation 2015 booklet, on kdp.org and KDP social media. Your chapter also qualifies for the ACE award with an annual donation to the KDP Chapter Challenge. 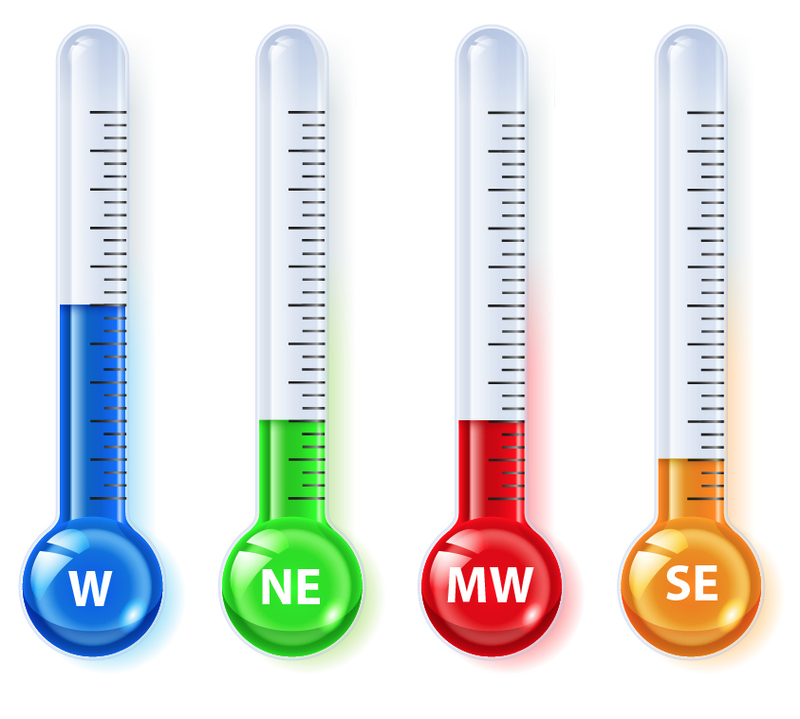 The West is currently in the lead, with our Northeast and Midwest regions gaining ground. In last place currently is the Southeast. With donations due by June 1, victory is still up for grabs. It isn’t too late! Lamar University is working hard to keep the west region on top – Go Cardinals! Fitchburg State University is rallying the northeast chapters to participate.